Prior to 1978, the Canadian Grand Prix had its home at the Mosport Park, Mont-Tremblant, circuits. Since the change from Mont-Tremblant, the Grand Prix has enjoyed a lengthy run at the Circuit Ile Notre-Dame, but unless you’ve been following Formula One racing since the late 70s, chances are you know the track by a different name. In 1982, Circuit Ile Notre-Dame received a name change after tragedy struck the Belgian Grand Prix, a disaster that broke the hearts of all Formula One fans and hit close to home for Canadians, and it’s carried the same iconic and recognizable moniker ever since. Born in 1950 just outside of Montreal in Richelieu, Villeneuve was 11 by the time the Formula One Grand Prix found a home in Canada. By age 15, he received a 1957 MGA from his father that was in need of intense repair. With nothing but a seemingly deep-rooted intuition about cars, the teen turned the broken-down MGA into a functional vehicle – until he crashed it. Though he went through numerous vehicles before finishing high school, Villeneuve felt comfortable enough behind the wheel to start drag racing. Little did he know, from the first time he put his foot on the gas pedal, he had put into motion the creation of a legacy that would be forever synonymous with Formula 1 and Grand Prix racing. Villeneuve isn’t just a household name for F1 fans. He is an embodiment of why people get so involved in the sport and was one of the first drivers to receive the recognition that he enjoyed. Behind the wheel of a modified 1967 Ford Mustang, the young racer participated in several races before growing weary of the drag strips. Though he loved racing, he knew that he was better suited for a road course rather than the straightaway for a drag race. 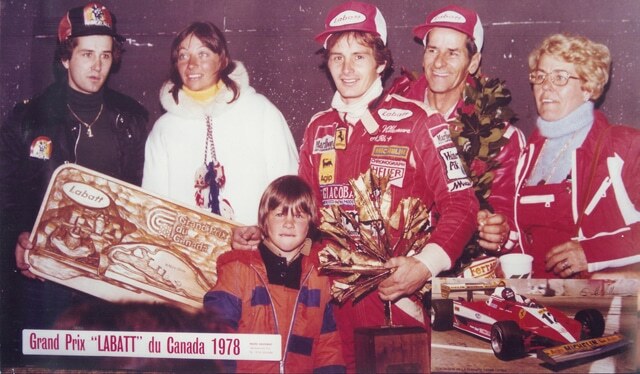 Not feeling overconfident about his skills and needed his racing license, Villeneuve sought admission into the Jim Russell Racing School, even going so far as to work construction gigs and race snowmobiles during the winter to raise money for the schooling. While he learned what there was to know from the racing school at Le Circuit Mont Tremblant, Villeneuve, now in his mid-20’s, continued racing snowmobiles, eventually participating in – and winning – the 1974 World Championship Snowmobile Derby. Though he proved his worth as a snowmobile driver, there was still no satiating his need to race cars, and so he continued his schooling at Jim Russel’s, eventually graduating and setting on his path to Formula One. As a graduation gift to himself, Villeneuve purchased a 1973 Magnum MkIII Formula Ford and participated in the Quebec Formula Ford championship. Right out off of the starting line he proved himself a winner, clinching a victory in seven of the ten races. There were more winnings to be had, though, and in 1974, he started driving Formula Atlantic cars for Ecurie Canada. Shortly into his Formula Atlantic career, he suffered a crash at Mosport Park, but it wasn’t enough to keep him down. To get back to doing what he loved most, Villeneuve purchased a car and started a team of his own. In the 1975 Formula Atlantic championship, he finished fifth, securing himself a spot in the 1976 season driving for Ecurie Canada. By the close of the ’76 season, he had won all but one race and nearly mimicked his performance in the 1977 Canadian championship. Nineteen seventy-six proved an important year for Villeneuve, especially after he beat James hunt in a non-championship Formula Atlantic race, held at Trois-Rivieres. In 1977, the up-and-coming racer was signed on with the McLaren team for five races in the Formula One season. His first F1 Grand Prix was the 1977 British Grand Prix, at which he piloted McLaren’s M23 and qualified 9th. Despite a faulty temperature gauge that slowed him down by two laps, Villeneuve finished the British Grand Prix in 11th and set the fifth fastest lap. It seemed that the world of Formula One had latched on to Villeneuve, but that didn’t stop McLaren from dropping him after just one race. As a free agent, it didn’t take long for Ferrari to show interest and, in August of 1977, flew the driver down for a series of test laps around the Fiorano test track. Though his performance wasn’t optimal, Villeneuve was behind the wheel of his dream car in the last two races of the 1977 championship and the entirety of the 1978 season. Though the driver continued to impress officials and race fans, the 1977 and 1978 seasons weren’t kind to him. At the Japan Grand Prix in 1977, Villeneuve’s vehicle struck a rival driver and went airborne, crashing into a corner marshal and photographer, killing them both. 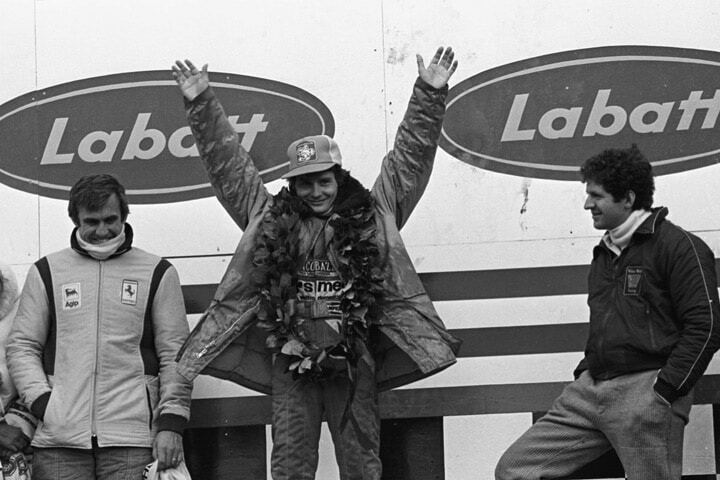 His 1978 season was marred by six “Did Not Finish” outcomes, though most would go on to remember his fastest lap in Argentina, podium finish in Germany, and victory in his home country’s Grand Prix. Continuing his string of success, Villeneuve continued to drive for Ferrari in the 1979 championship, earning second place behind the team’s other driver, Jody Scheckter. The 1980 Formula One season was one to forget as Villeneuve finished 12th with only six points and failed to finish six of 14 races. A year later, things started off rough with three retirements in a row, but he ultimately won the Monaco and Spanish Grand Prix and came out with 25 points in 7th place. 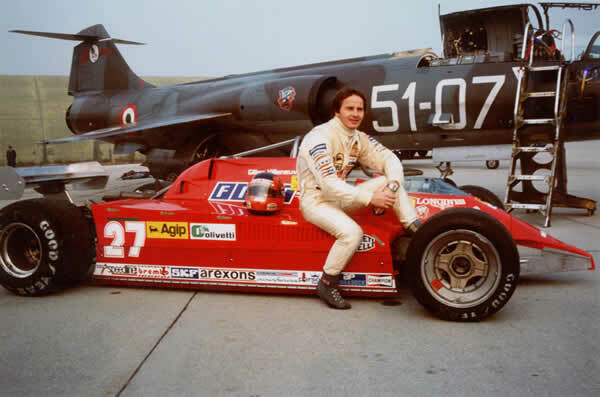 Villeneuve’s final season on the track was spent in a Ferarri 126C2 that didn’t seem to want to work for him. Two retirements and a disqualification started the season, though he went on to take 2nd at the San Marino Grand Prix. Then, during the qualifying session for the Belgian Grand Prix, Villeneuve’s career came to a scratching halt. With only eight minutes left in the session, Villeneuve was speeding up towards Jochen Mass, who was driving at a considerably slower speed. At exactly the same time, both drivers moved to the right, hoping to avoid collision. At a speed of up to 140 mph (225 kmh), Villeneuve’s Ferrari struck Mass’ vehicle and launched into the air. The car and Villeneuve traveled for over 100 m before striking the ground again, landing nose-first. The car proceeded to flip, eventually ejecting the driver, who slammed into a fence. After being transported to University St. Raphael Hospital, it was determined he had fractured his neck. Within hours, he had passed away from his injuries. The loss of Villeneuve is still felt within the Formula One circuit as seen by the merchandise still being sold at race shops. Though books have been written and films have been made about his life, the lasting legacy of Gilles Villeneuve lies with his son, Jacques Villeneuve, and at the circuit named after him. Taking after his father, Jacques drove the number 27 car in honor of Gilles during the 1995 Indianapolis 500. Jacque still races today, though the high point of his Formula One career came in 1997 when he became the first Canadian to win the F1 Championship. Jacques keeps alive a legacy of Grand Prix racing that has forever defined the event for Montreal and Canada. Gilles Villeneuve may be tragically gone, but his successes and those of his son will keep his legacy and memory alive.